Special Counsel Mueller Follows the $$$ - Is Trump Worried? A version of this article was first published on theGlobalist.com on November 20, 2017. U.S. Special Counsel Robert Mueller is determined to go after Washington’s dark money pools. - the Manafort and Gates charges highlight today's world of money laundering. The keys to unlock the depths of conspiracies between the 2016 “Trump for President” campaign and the Kremlin may rest in what has been carefully excluded(!) by prosecutors in the recent indictment of Paul J. Manafort Jr., the campaign’s former director, and his right-hand-man, Richard W. Gates III. Notice that the emphasis here is on the word “excluded.” To date, much of the public speculation has been on surmising how the 12-count, 31-page indictment would potentially prove Trump’s connection to Russian money. 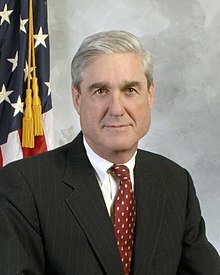 The charges brought by U.S. Special Counsel Robert Mueller focus exclusively on tax evasion, money laundering and seeking to circumvent U.S. rules on representing foreign governments under the Foreign Agents Registration Act (FARA). Most of the charges relate to political advisory contracts that they had from 2006 to 2016 with top politicians in Ukraine. But this is only Mueller’s opening salvo against Manafort and Gates. In fact, Mueller is squeezing Manafort and Gates to make them squeal. After all, if found guilty on the current list of 12 charges, both men could spend years behind bars. Based on ample precedent, there is an obvious prosecutorial hope that Manafort and Gates will start talking about all of their deals with Russians. Of particular interest are their connections to others in the White House, especially President Trump, his son Donald Jr., and son-in-law Jared Kushner. Notably, all of them have done business in the past in Russia. Mueller is determined to track down every detail of the Manafort money trail. Interestingly, the indictment states that up to $75 million of transactions were involved over a decade as Manafort and Gates worked for former Ukraine President Victor Yanukovych (who held power from 2010-2014), his Party of Regions, its successor political organization, and others, possibly in Ukraine or Russia. The details in the indictment, however, catalogue at most some $20 million. Which leads to one big question: Where did more than $50 million go and for what purposes? The answers may provide vital information for Mueller and his investigative team as they seek to detail Russia-Trump connections. It is true that there is not a hint of Trump-Russian connections in the carefully crafted indictment against Manafort and Gates. But this is just the prologue in a mystery thriller. As the pressure is mounting, so is the anxiety level across the West Wing. A number of senior White House officials have hired their own lawyers at their own expense. The details we do know about the Manafort transaction to date reveal aspects of the dark side of Washington lobbying. Influence peddling for foreign governments is conducted by using multiple international bank accounts (in this case, in Cyprus and across Europe). It is also done by establishing secretive offshore holding companies (in this case, Cyprus, St. Vincent & the Grenadines and Seychelles). Manafort and Gates are accused of tax evasion, due to not reporting as income many millions of dollars that they transferred from their foreign accounts into at least 23 companies established in Delaware, Virginia, New York and Florida. Through these funds, they bought properties and luxury goods, such as Range Rovers, Mercedes cars, art works, as well as over $1 million in clothes. The pair also stands accused of violating the Foreign Agents Registration Act (FARA). Manafort and Gates never registered in the United States as lobbyists for the previous Ukrainian government — although there is a great deal of evidence that they directly promoted the interests of their clients to members of the U.S. Congress and hired public relations firms to do this as well. Former President Victor Yanukovych fled Ukraine for Russia in 2014 as public opposition mounted. He was widely reported at the time to have stolen billions of dollars while he was in office. Manafort continued to work with former President Victor Yanukovych even after he fled Ukraine for Russia in 2014. During this period, he could well have deepened his manifold ties to influential Russians. It is likely that he entered into various business deals with them. Those transactions may account for many of the transactions that are not detailed in the indictments brought by Mueller against Manafort and Gates so far. Indeed, they may amount to the roughly $50 million that has not been detailed either. These matters may form the basis of further charges against Manafort and Gates. In the process, they should provide more information that exposes “Russia connection” ties to others who were engaged in the Trump campaign. Donald Trump must be having some sleepless nights. No wonder he wants his Justice Department to turn its attention elsewhere and start investigations of Bill and Hilary Clinton.